Now the authentic Tetris® game has been faithfully reproduced for the PDA. 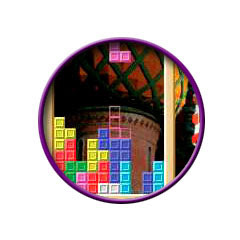 With over 50 million copies sold worldwide, Tetris is the world's most popular video game. The object of the game deceptively simple and completely addictive. 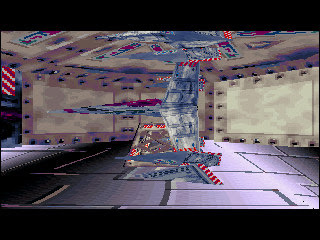 The player must position falling shapes called Tetraminoes across the bottom of a rectangular pit. Tetraminoes are shapes created from 4 blocks joined together into 7 different patterns. The Tetraminoes must be rotated as they fall and positioned across the bottom leaving no open spaces. 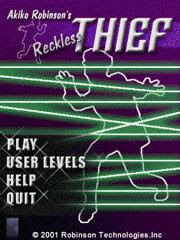 When an entire horizontal line fills with blocks, the line clears from the screen and the player earns points. 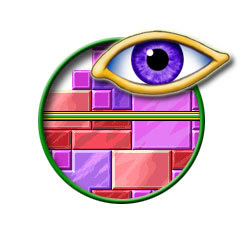 If lines are not completely filled with blocks, they will not clear from the screen, and the Tetraminoes will continue to stack up higher and higher. If the stack of Tetraminoes reaches the top, the game is over. But if the player keeps clearing lines, game play continues at a faster and faster pace with more and more points earned for cleared lines. including snow, swamp, plains and deserts. As levels progress, tougher enemies will appear that require more than one shot or more effective weapons. Who'd have thought playing with tanks could be so much fun? You can even choose what color tank to play with! handle with the world's best bubble solution, and watch the bubbles fly. 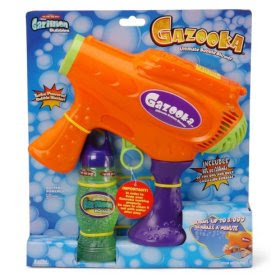 Also includes one eight ounce container of Gazillion Bubbles. - More similar to real billiard game. 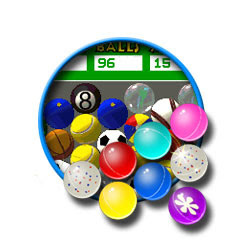 - Provides 6 kind of games : Nine ball, Eight ball, Rotation ball, Bowling game, Carom game, 3-Cushion game. - Introducing concept of the power and timing, and improved the monotonous stroke of existing pocket game. - Fantastic 3D rendered images. - Realistic 65536 high colors. PocketNester is a free, fast (maybe fastest), accurate and compatible NES/Famicom emulator for PocketPC. PocketNester features two major improvements: it supports more games, and runs much faster. 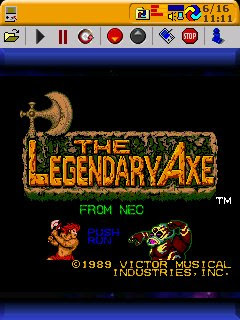 It is about 3-4 times faster than original nesterce and many other NES emulators on PocketPC. Most games run at about 30-50 FPS on a 200Mhz XScale device. That means you can get full speed emulation (60 FPS) with 206Mhz StrongARM/400Mhz XScale PocketPCs. Source code of PocketNester is distributed under GNU Generic Public License(GPL). - Finally, or hopefully :), fixed the ANNOYING freeze problem! - Added a new toolbar shortcut for muting sound. - FPS display could be turned off through options now. Highly addictive mini golf game with great graphics, sound and game play! Pocket Mini Golf features 3 courses of increasing difficulty, with 18 holes per course. It has 4 different players to choose from and 3 different game types. Play standard golf rules or against the clock, the choice is yours. At last a free pinball game. A maybe too simple board, with quite good graphics, and reasonable playability giving a pleasant game. But it stops there! The slowness of the ball and the poor "feel" of the flippers quickly make it tiresome. It is possible to customise the board a little by downloading skins from the author's site. But, be aware that they are only skins, and not new boards. In conclusion, far from the commercial pinball games such as Bounty Hunter and Young paladin, this game is promising, it remains to be seen whether the author will improve on the game. NB: You need the Gapi dll (gx.dll) to make it work. PS: Please excuse the poor quality of the screenshot, but I could not do any better! The First ever made differentiated shooting game for the PDA! Funny and animation cartoon-style design, total 28 all possible various stages, all of these are in the Pow Wow. Just shoot and get excited with Pow Wow! Pow Wow is the game that player clicks right on targets or characters to shoot those on various stages, using stylus. The Pow Wow is composed of 10 major themes and each theme has many stages where different and various characters appear. Total 28 stages gives real variety of selection and fun. During the given time, player has to shoot characters. If you can't finish the given time, player loses her/his life. If player uses all of her/his lives, the game will be over. Championship Mode, where you try to finish the tracks in the best time/best placement as possible to advance. Practice Mode, where you can practice racing on the courses you have already played to try and improve your racing skills. game, well the menus at least. Freeware app that turns your Pocket PC into a 23rd Century Tricorder! It does a few corny things just as a gag. For all you Star Trek fans. similar to any other desktop golf computer game. Good way to enjoy a game with your children. After a while, they will surpass you. Highly recommended. undo and redo. Source code is also available. GPL licence, Rudis Muiznieks has taken the source code and compiled the program for ARM processors. It is without a doubt the best port for the Pocket PC of this classic computer game, Sokoban. This program won't get the Oscar for Originality but it remains an excellent way to kill some time and is easy to get new levels at the website. Requires SprintDB 1.6+ from KaioneSoft running on your device. you will receive the fully functional version of this software. No registration key is required. Infectious Ground, toted as the first FPS (First Person Shooter) game to be specifically developed and tailored to the Pocket PC. Well, it is is exactly that to a tee, but is it any good? or encounter a new breed of enemy. That's about it. All in all, nothing too complicated, but nothing too incredible. Tropical Nights Video Poker is a realistic slot machine game with a Jacks or Better poker theme. It operates just like a las vegas slot machine, with the difference that you don t have to put in any real money. 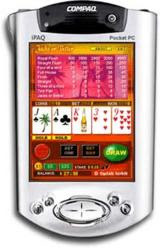 Tropical Nights is a Video Poker machine that sets a new standard for mobile gaming applications. Play Jacks or Better and have a true exotic gaming experience. Tropical Nights is a Video Poker machine that sets a new standard for mobile gaming applications. Play Jacks or Better and have a true exotic gaming experience. Start off with $0.25 games and increase your bets up to $25 as the money rolls in. Install to your main memory. Otherwise, it won't work. Enjoy exciting fishing game for PocketPC. Simply download a file and excute it from your desktop. that's all! You can Install this game into the external storage card too! First, insert the storage memory card into your PocketPC. Second, When the setup program ask you for the default installation folder, select "No" and then select "Storage". Finally, Setup program installs all files. and then execute Fishing program..
Darxide EMP™ for Pocket PC has gathered rave reviews and many satisifed customers. 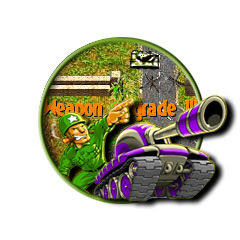 The latest Pocket PC version, with 4 extra levels and new enemies added later in the game (now 16 levels in total), has a price of just UK£4.50 or around US$7 & 7 Euros (was UK£12.99, around US$20 & 20 Euros). Read the praise for Darxide EMP™ for PocketPC below - at this price and with four more levels you just can't afford to miss out on the "Best Game on Pocket PC"! Additionally the game offers multi-channel audio and has French, German, Italian and Spanish language options as well as English (in-game voices are English only). There is a choice of right- or left-handed operation. 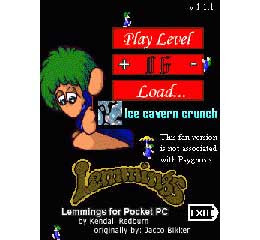 lemming is an implementation of the classic lemmings game created by DMA Design. Reproduced with great care for the originakl, this version serves as a great intorduction to the game, or as a reminder of how modern graphics and processors don't necessarily mean better games! Spb Arkaball is a Pocket PC remake Arkanoid. Spb Arkaball brings together nice colorful graphics and well thought-out gameplay, making this game very addictive. The game has 50 levels for you to complete. 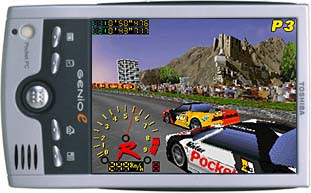 This is Pocket PC software for iPAQ, Dell Axim, Acer, T-Mobile MDA, O2 XDA, Orange SVP, Siemens E-Ten and other PDA devices. 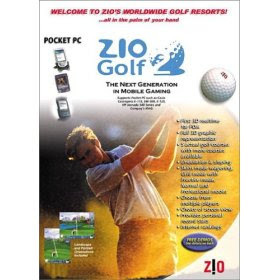 The most realistic 3D golf simulation!Support Windows Mobile 5.0, 6.0 and Square, Landscape Screen. FairwayWatch is our full featured Golf Scorecard software. Featuring the proven Birdsoft User Interface and a number of great features, this program is sure to let you avid golfers enjoy your game that much more. Priced well below the competition, but with competing feature sets, this is a must have out on the links. 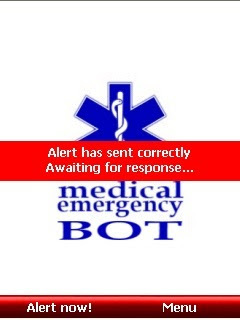 With only one touch of your mobile device, you send Emergency Alert, with your current localization and personal data. This program has simply interface, and it’s easy, intuitive in using. After you set it correctly, you will not do too much. Just one touch when necessary. If you like the application, please buy it - you'll get faster application startup and close, customer support, free upgrades, and you'll help us to further improve this application. The one, the only, the original, Pac-Man from Namco. A blast from the past for everyone who has even spent all their pocket money at the video arcade. Everything is here: the game screen, music, and between-level animation. For everyone else, this is a nice little game, with very complete customisation: number of lives, difficulty level, buttons used. The gameplay is excellent, using either gamepad or stylus. Here's a little trick: Remove the gx.dll file location in the Namco Pac-man folder. The more recent version in \Windows will be used, which will improve the functioning and stability of the game. Get a full set of essential services for a terrific price. WorldMate Standard Edition travel tools and services include indispensable and real-time travel information such as world clocks, weather forecasts for hundreds of cities worldwide, currency conversion with an online exchange rate service, size and measurement converters and much more. WorldMate Standard Edition provides you with all the essentials, in one highly usable value package. If you travel extensively and place a high value on your time, WorldMate Professional Edition may be more suitable to your needs. Clearly your best buy if you want to convert both DVDs and movies at the lowest possible price without sacrificing quality. MorphGear is an application for the Pocket PC and Windows Desktop capable of hosting and executing MorphModules. One of the most popular desktop Solitaire games is now here for the Pocket PC -- and you can get it for free! Just register below to download Microsoft FreeCell for Pocket PC, just one of the great games from the newly released Pocket PC Entertainment Pack. 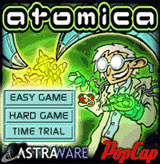 Make Molecules in Dr. Atomica's Laboratory! Build up atomic power by moving atoms to make larger and larger molecules, but watch out, otherwise your test board will get so crowded with new atoms appearing that you can't move any more and.... *BOOOM*. This official handheld conversion of the great PopCap game is just as addictive and just as challenging, and now you can take it with you anywhere! This new game is a fun fusion of soccer and snooker. It is incredibly dynamic and fast. Your mission is to score as many goals as possible and prevent the opponent computer/human from scoring. The game is divided into the 4 quarters. 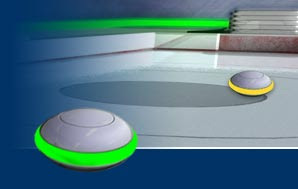 The player has a brief period of time called the "Shot time" to aim the "stone" at the ball to hit the opponent's goal. Word Mojo is a simple, crossword-style word game that is both challenging and fun! Word Mojo's unique play style engages the player with unlimited word variations played against the clock or with no time limit. Score BIG by placing letters strategically to create a MEGA MOJO word! the play board as you make more words. blocks, which give you back a body piece if you've made a wrong guess. Classic Bounce Out gameplay, but now with super graphics, super sounds and even more bounce! Existing Bounce Out for Palm or Pocket PC owners can update to Super Bounce Out completely free! Super Bounce Out will accept your existing registration code. 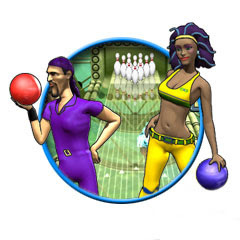 diva and challenge the others to a duel in the bowling alley. Sail the high sea of stars in your own deep space exploration vessel. Explore exotic star systems; seek out new technologies, artefacts and life forms; boldly blow up stuff where no one has blown up stuff before! Strange Adventures in Infinite Space is different every time it is played. Stars, planets, black holes, nebula mass, alien patrols, items, life forms and other encounters are randomized for each new Strange Adventure. Tantric is the 'all singing all dancing' update to the classic puzzler that was Abysma. It sports a stylish new look, and a stunning musical soundtrack. Simply plug the gaps with existing pieces to prevent the descending bar from travelling over any spaces. Tantric starts off fairly calmly but as the levels increase so does the number and complexity of the shapes so you will soon find yourself racing to fill the gaps before the bar gets the better of you. GameBox Gems is our award-winning collection of eight highly addictive puzzle games to keep your mind stimulated and your stylus tapping! GameBox Gems features colorful graphics, sparkling visual effects, fantastic audio, and extremely smooth game play. Everything is meticulously tailored to the PDA platform for the best experience possible. Most importantly, the games are a blast to play! Winner of the Pocket PC Awards Best Game Pack of 2006! In this action-puzzle game from PC legends John Romero and Tom Hall, the co-creators of DOOM, Quake and Anachronox, the emphasis is squarely on game-play. You'll journey through 30 wicked levels across three strange planets! Just hired aboard the HDS Colby Jack, our hero Guy Carrington must deliver the wildest stuff to the craziest places! And all of this so he can try to impress his favorite girl, Dolly. Your job: get mail and packages to those that need them, no matter where in space they are! You may face insane robots, dangerous environments, or even the dreaded Sleeping Behemoths on your quest to deliver the universe’s most important parcels! Explore bizarre worlds and defend yourself against alien creatures as you solve the devious puzzles of… Hyperspace Delivery Boy! Experience HDB! and you will: • Journey through thirty amazing levels! • Choose puzzle or action-puzzle modes! • Revel in three amazing, completely different environments! • Find hidden bonus items and quests! • Escape from the crazy Panic Zones! From Monkeystone Games, this is the must-have game for your PocketPC! Are you up for the challenge? 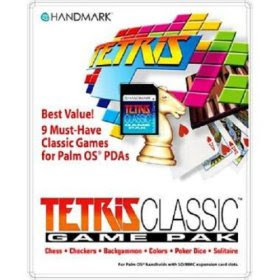 Now you can play the world's most popular property trading game on your Pocket PC device and experience the thrill of owning it all right in the palm of your hand! Buy, sell, rent, and auction property with up to 4 players! Practice your Monopoly skills at any time by playing against up to three computer opponents with 8 different "identities" and playing styles. Or you can mix any combination of real people and computer players in any game. If you have ever played the classic board game then you'll immediately know how to play on your Pocket PC device. 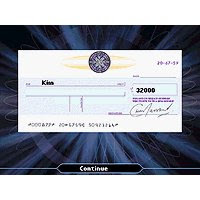 The computer plays the role of the "Banker" so it automatically, accurately, and completely scores every player, every play and every game. The Monopoly game for Pocket PC PDAs includes the ability to auction properties, buy/sell houses and hotels, mortgage/unmortgage properties and even set up complex trades with other players. Wow! 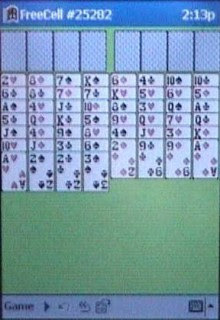 Forget the old Solitaire game from Microsoft and install this one from PDAmill! This is one of the best Solitaire games you will find on the market today. I’ve never been much of a card player, but I am learning now! The graphics, animation and the music on this game are INCREDIBLE! The awesome graphics are what differentiate it from the MS and other versions. PDAmill takes advantage of the power in the Pocket PC to add some real excitement to the game. 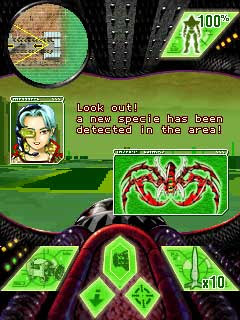 The game is played in landscape mode, which maximizes the viewability of the game. When you make a move, the cards are animated, which is really cool! 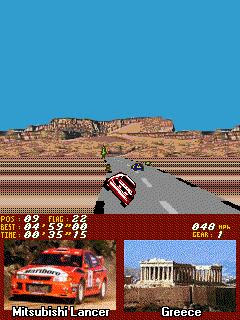 Racing Days for Pocket PC is the first racing game software developed for Pocket PC that performs real 3D action. It gives you the most thrilling and excitement, and draws you into the real racing. You can select your favorite vehicle from various actual existence ones as Honda NSX, and paint and decorate it with your own taste. Create your unique vehicle and run tracks varies with all sorts of situation. 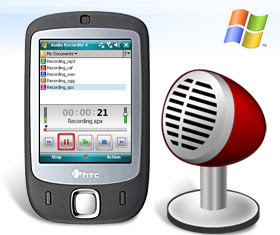 As long as you have a Pocket PC, you can experience the uppermost excitement anywhere you are and at anytime. "Mister Dark wants to become its ruler, and to meet his goal, he has kidnapped and imprisoned all the Toons, these tiny elements essential to the light and life of the universe. Rayman is the latest hope; he's the only one who can go and free the Toons, and get to Mister Dark's lair to wipe him out." All I know is that once I started playing, I couldn't stop. 8 worlds and 31 levels, full of animations and cartoon-like graphics. 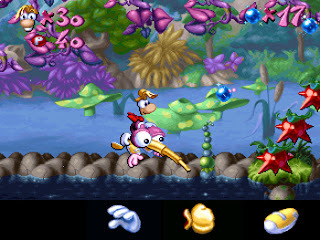 Game play is based on the Rayman body and its magical abilities (Punching, Grabbing, the Helicopter, etc.). 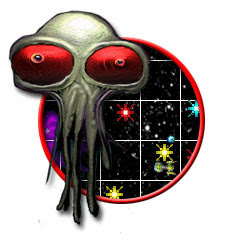 "Highly attractive Universe" presenting a huge, cartoon-like action game. On-line play: synchronize your PDA and confront other players' ghosts in special turn-based races. need to be on your toes! on the clock. Fail to reach the diamond before the time expires and it's game over. and enough variation to keep you hooked. Now you can play the world`s most popular word game on your Pocket PC device! The Handmark SCRABBLE Game for the Pocket PC is designed to play just like the classic board game. It utilizes a select-and-drop tile placement interface, a built-in Official Scrabble Player`s Dictionary and saves partially completed games to be continued at any time. Install the optional full definition dictionary to view the definitions of each word as they are played! Choose to play in either Friendly or Tournament mode. Friendly mode is like a casual family game where you can choose to accept words outside the standard rules. 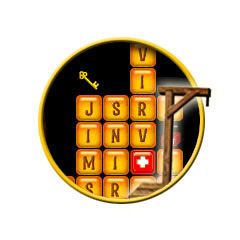 Choose the Tournament mode and you are playing by the classic Scrabble rules. 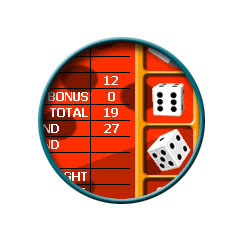 Includes challenges that automatically check the built-in Official Scrabble Player`s Dictionary! Practice your SCRABBLE skills when you play against the automated computer opponent. Choose the skill level of your opponent: Easy, Medium, or Hard. brought you GTS Racing Challenge. 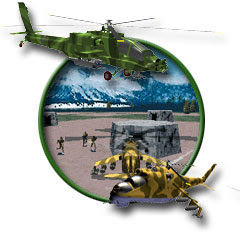 Battle the enemy and rescue prisoners of war to complete your missions.